An inventory report is a summary and description of all the items owned by a business, organization, or landlord. The reason for creating an inventory report is to provide an account of the supply and condition of items owned. An inventory report can be used by businesses, by residents when moving out of a house, by a landlord before new tenants move in, or to provide details for legal proceedings. These documents should be clearly written, easy to understand, and thorough. You’re best off using language that is plain, simple, and not industry specific to get your point across. Just write clearly, succinctly, and descriptively. An inventory report should be easily understandable by anyone who reads it, such as tenants and agents. Using abbreviations can be handy, but just make sure that if you use them you also provide a list of abbreviations and the terms they indicate. An effective inventory report must have perfect grammar, resources like StateofWriting, ViaWriting, SimpleGrad, and Academized can help you improve your writing skills. Divide your report into rooms, such as reception, bathroom, kitchen, etc. If it helps, you can further break things down into specific categories like: door fixtures, flooring, heating, framework, ceiling, sockets, switches, furniture, things attached to walls, etc. Inventory is all about remembering to include every item, so be thorough. Every room will be a bit different, so be careful not to miss things like a chandelier or a fireplace. It’s also important to count how many of each item you have; yes, even the number of forks in the kitchen. If you don’t count how many items you have, you won’t be able to prove it if you find you are short later. “For each item, you should have a description of its condition; you may also want to include things like its price and age. This last part isn’t always needed, and is more for high-value items,” advises Kimberly Jennings, manager at Boomessays. Color is also very important; it’s hard to tell if something has been replaced if you haven’t noted its color. It’s also a good idea to remark if something has been painted or refurbished, and to test anything electrical to see what kind of working order it is in. Be sure to note the location of all the items, including additional sites, and remember that it is best to conduct an inventory when your inventory is stable. Categorize items according to type and make an entry for “stock.” Differentiate every item by model, age, or use. Write some details regarding expected inventory. If items are out of stock, indicate which items you would like restocked and provide a timeframe for their resupply. Don’t forget to mention items that are not available anymore, but have been in previous reports. When you’re finished, sign and date your report. There are a few different kinds of inventory reports utilized by businesses. The first is an inventory ranking report. This ranks your products in order of their yearly gross margins, comparing their profitability to their warehousing cost. These reports are useful because they give you a good idea of what is occupying the most space, and what is actually generating money. Another type of report is an inventory “hits” report. The word “hits” refers to the amount of times that item has appeared on an invoice. 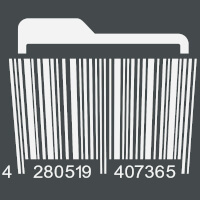 This report helps identify items that are infrequently purchased but take up space. Ranking reports and “hits” reports are complementary. If you are doing a residential inventory report, you have one last step. Your final step is to create a Schedule of Condition that records the condition of every item all conveniently on one page. “This is commonly done by landlords, so they can keep track of the condition of their property before and after a tenant’s lease. These residential inventory reports will include things, such as decorations, windows, curtains, appliances, telephone, and keys, among others,” says Gerald Thurman, editor at UKWritings. Inventory reports are created by businesses, organizations, and people involved in activities, such as renting property. Inventory can be a time-consuming activity, especially for a small-business owner. 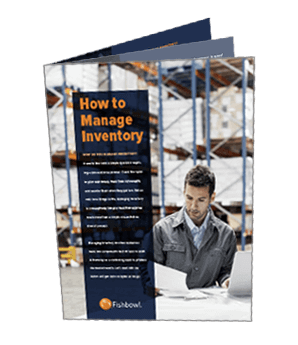 This guide should help make creating inventory reports a lot easier and less time consuming.